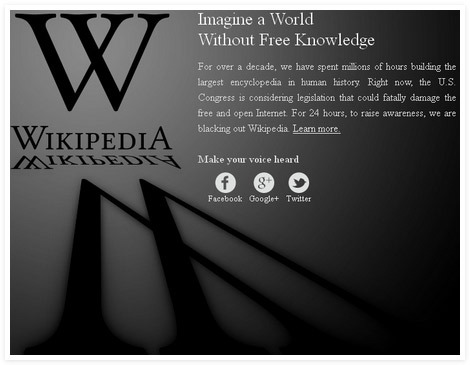 January 18th (2012) will be the day in the history known as the Largest Online Protest for the Freedom of Expression. As participants we hope to be able to make a difference, and preserve the common sense. Learn more by clicking on the image below or watch this video. Please share the info to build awareness. Together we can do more.